After a hard day, on a night out, on birthdays, weddings, dinners, or simply at home in front of the telly with your feet up – a glass of red wine is always a good choice. So, let’s find out something more about the health effects of this appealing grape-based, “doctor-recommended” alcoholic beverage. Red wine has a long history. It is quite popular and well-documented in the Bible, and the evidence of its use date all the way back from Egypt (5,000 B.C)! All these years, all these centuries – the basic wine production has remained the same. After completed fermentation (turning sugar from the grapes to alcohol), wine preserves some organic compounds like different polysaccharides, acids, and phenols – flavonoids and non-flavonoids. The big question is – how these substances affect our health? Red wine has a reputation of having a direct positive impact on our health. There are many debates on whether this fact is proven, or we are just looking for an excuse to drink. Most of the beneficial health factors of red wine are contributed to this substance. It is found in the grape’s skin and is produced by some plants as a defense mechanism from bacteria, fungi, and UV light. The general opinion is that resveratrol prevents damage to blood vessels and reduces the bad cholesterol (LDL), thus eliminating the formation of blood clots. Resveratrol also promotes the development of hem oxygenase – an enzyme which protects nerve cells. Scientists believe that resveratrol can help prevent vision loss because it stops the problematic overgrowth of blood vessels in the eyes. This powerful compound in wine can help people with diabetes to regulate their blood sugar level. Moderate wine drinking is linked to higher levels of omega-3-fatty acids, one of the essential amino acids which helps in preventing high blood pressure, heart disease, osteoporosis, etc. Some researchers suggest that these polyphenols keep the blood vessels young and healthy. 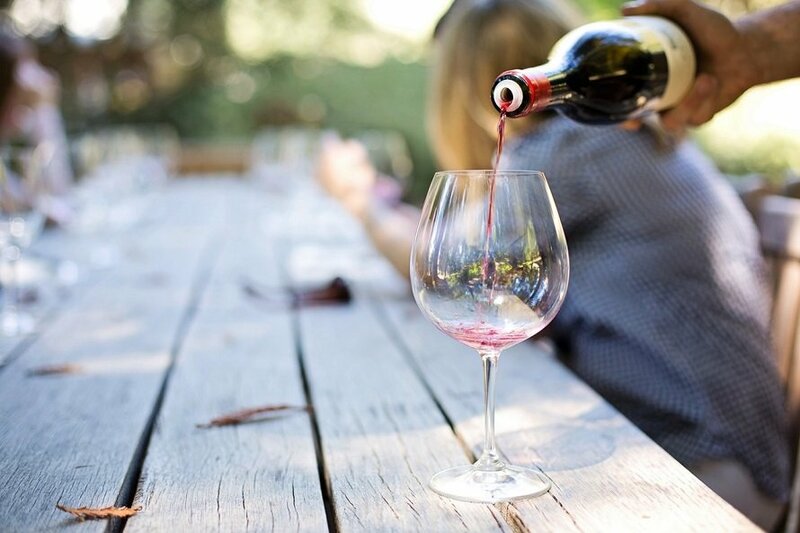 According to some scientists, moderate wine drinkers have a lower risk of developing colon cancer, lung cancer, breast cancer, prostate cancer, liver disease, etc. A glass of red wine also has a relaxing effect on the muscles and overall psychical tension. Research performed in a Spanish Medical School-Clinic University noted that moderate wine consumption might have a significant role in reducing the incidence of depression. 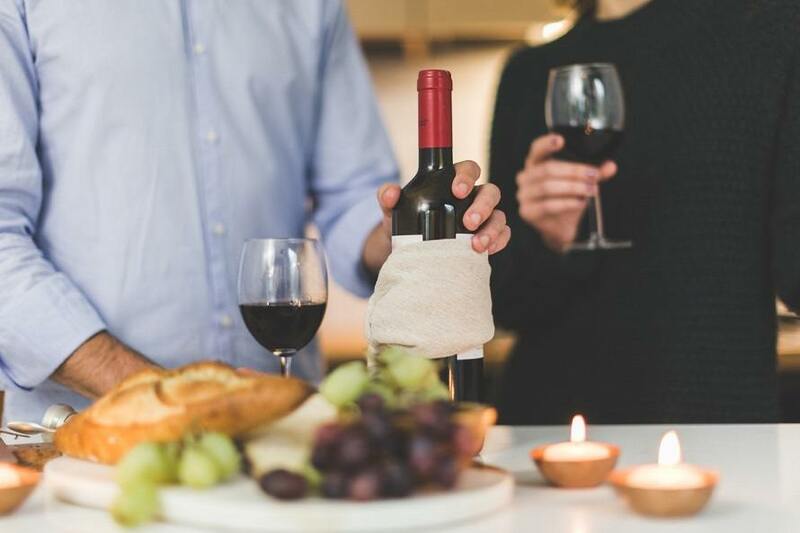 While considering the negative effects of red wine consumption, the starting point should be the fact that red wine is in fact – an alcoholic beverage. New rule books advise to stear clear of any amount of alcohol for at least two days so that their liver can recover, or not drink it at all. Although resveratrol has some connection with faster wound healing, it can have an opposite effect in high doses. The development of breast cancer is attributed to moderate wine consumers. Scientists also warn that much more than one glass of wine is necessary for resveratrol to have any significant effect, which can ultimately and obviously lead to alcoholism. Wine is also accused of leading to weight gain due to consuming a fair amount of calories without feeling full. How Much Red Wine Is Too Much? Note that with positive health effects of red wine, the emphasis is on moderate. There is a subtle line between moderate and excessive drinking. Moderate red wine consumption per day is 1-1.5 glasses for women and 1-2 glasses for men. This, of course, doesn’t apply to those with alcohol abuse history, who shouldn’t drink alcohol at all. And, is one glass of wine a day enough for resveratrol to do its magic? This is still a debating question without a conclusive answer. In any case, you can’t go wrong with being responsible to your health and taking just an occasional glass of quality red wine.